So first off, you are going to want to open Tabula. When you install it, click on the T to open it. Next, you are gonig to want to start or select your model. Note that this is not a tutorial on parenting the model nor modelling itself. What you do to start making the model, click the blank page with the green plus in the top left corner. Once you have your model done, I am using the Bamster model from my World Trigger mod as an example, you are going to want to make sure you have it completed. Also decide whether or not you are going to scale the model or not. Then you click on the blank page with the red arrow. 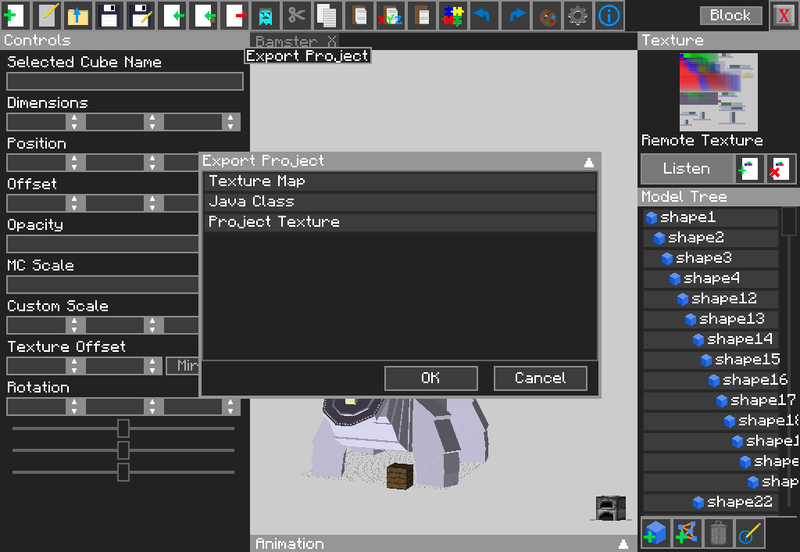 To get a file to use to texture your model, select texturemap. Not project texture. 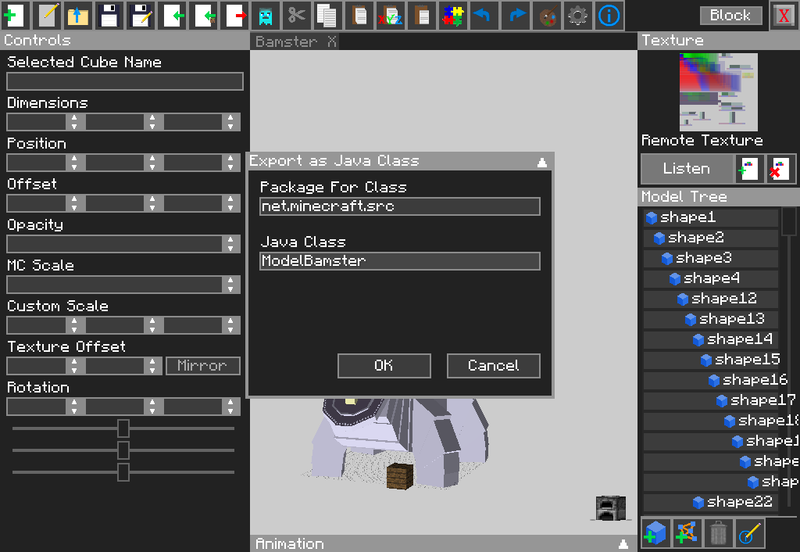 To export, click Java class. Next what you will want to do is you will have to make sure the name of your model is spelt correctly. Make sure that it matches the name of the class but has "Model" infront of it. For example, i will have named the class for the Bamster "Bamster" in MCreator. If I import the model just being called "Bamster", you will get errors. So when exporting it, make it like "ModelBamster". No spaces between "Model" and the name of your mob. Also make sure the M is capitalized. 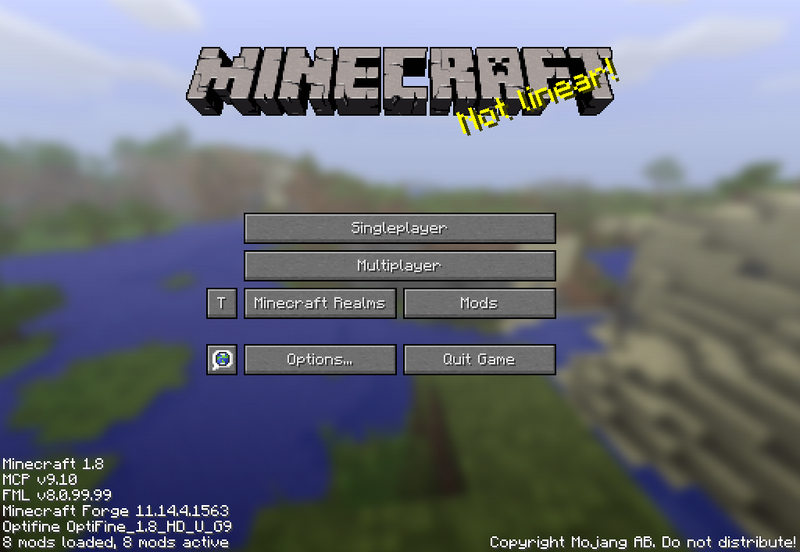 In the package for class section, make sure you put net.minecraft.src. Do not put anything else there besides that otherwise you will get errors. 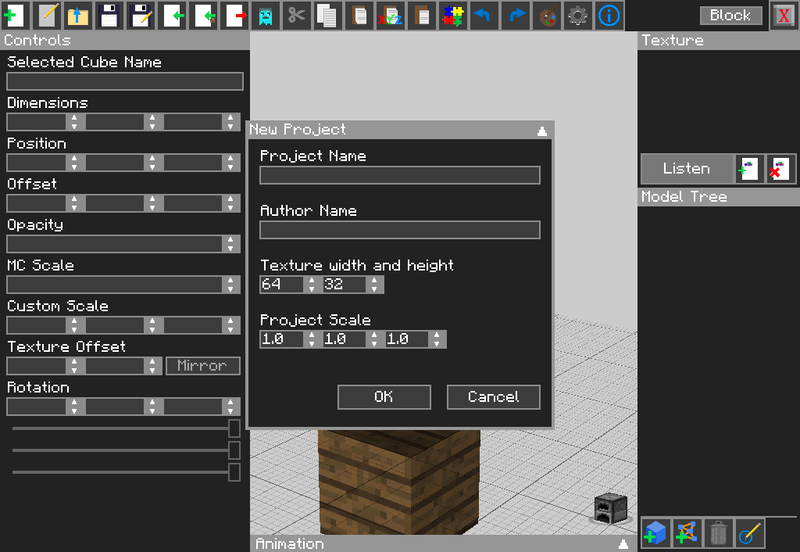 After that, you will want to go into MCreator and create a mob class. Like said before, put in the exact name for your model. (minus the model part). And do everything else like you normally would. If you want to have animations to work, i am afraid i can only help with the simple walking animation. 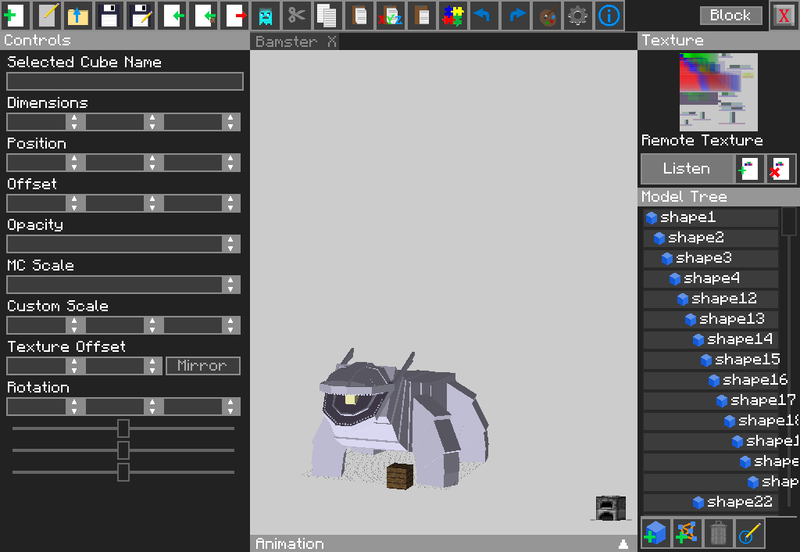 MCreator does not recognize Tabula models for it's animation segment, but taking the code from a model that was previously animated in MCreator, that will just work fine. Then replace the capitalized portions with the corresponding piece in your model. For example, if the piece you want animated is titled "Shape55" replace the corresponding part with "Shape55". Also yes, there has to be two parts for the head area. Anyways, that concludes the little tutorial. Hope you can find it useful. Good tutorial. We are also looking for official solutions regarding Techne, but for now, this guide could be useful! This seems cool. I like it. @#1 Tabula is ONLY compatible with 1.7.10. I like Tabula, but MCAnimator is a perfect replacement for Techne. I used tabula for the 1.10 version and still use it for 1.11.2 and it works fine. Mcanimator is the one that doesn't work right for me. Oh ya. We definitely need a Techne replacement since Techne got taken down. MCAnimator and MCModeller seem to be great choices. Also pls make it mac compatible! I'm sick of using the ghast model over and over. For Some reason tabula doesnt work for me and forge just says for only 1.8 "Your minecraft launcher is installed improperly" or something like that! @#5 are you sure you used the right forge version/installed the mod correctly? Yup, Forge 1.11.2 Works perfectly fine but 1.8 doesnt.But does it have to be a exact exact version of forge to work?